Our next MCLE lunchtime program will be on Thursday, September 13, 2018, at 12:00 pm at the Manhattan of La Jolla restaurant, within the Empress Hotel at 7766 Fay Avenue. This program will provide 1.0 hr general CLE credit. Mark J. Hattam is General Counsel for the San Diego County Water Authority. As General Counsel, Mr. Hattam advises the Water Authority’s Board and executive staff on a wide range of legal matters, including the agency’s high-profile litigation over the legality of rates set by the Metropolitan Water District of Southern California. The Water Authority is the San Diego region’s wholesale water supplier, providing imported supplies and desalinated seawater to 24 member agencies that serve 3.3 million residents and support a $222 billion economy, with a focus on securing a safe and reliable water supply for the San Diego region. 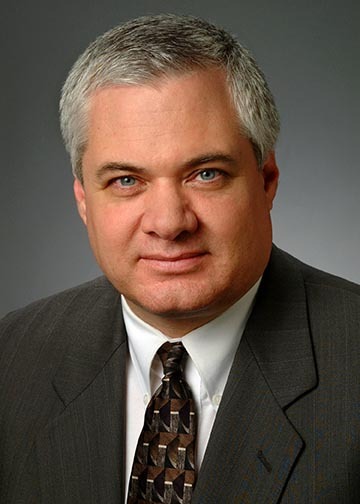 Prior to joining the Water Authority as General Counsel in 2016, Mr. Hattam was a 22 year member and partner in the San Diego office of Allen Matkins Leck Gamble Mallory & Natsis, a California-based law firm with approximately 200 attorneys specializing in real estate, litigation, labor, tax, land use and business law. His practice at Allen Matkins involved litigation in state and federal courts regarding water rights, commercial disputes, real property, insurance, environmental regulations and other issues, as well as administrative hearing practice. Mr. Hattam has represented major institutional and public-sector clients in complex civil litigation, including water transfers and water rates. He represented the Imperial Irrigation District as trial counsel in 2013, securing validation of the historic 2003 Colorado River Quantification Settlement Agreement, a cornerstone of the Water Authority’s long-term water supply diversification strategy. In 2015, Mr. Hattam served as outside counsel for the Water Authority, successfully defending the agency against claim that it failed to account for the environmental impacts of its long-term water supply plan. His extensive knowledge of the intricate legal issues regarding water supplies, transfers and rates in California, combined with his demonstrated expertise at both trial court and the appellate court levels were cited by the Water Authority’s Board as important considerations in his engagement as the Authority’s General Counsel. Mr. Hattam is a graduate of Loyola Law School, Loyola Marymount University (Juris Doctorate – 1994), where he received Order of the Coif, and Dean’s Scholar honors.